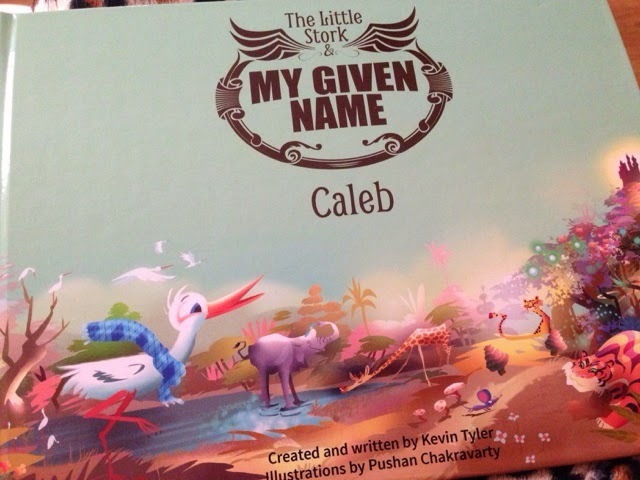 My Given Name is like no other book I have come across before. 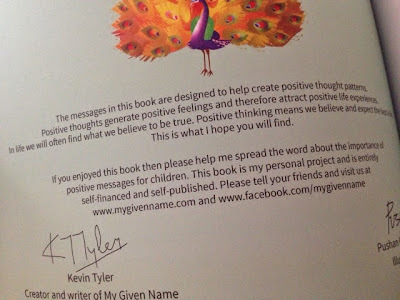 C loves personalised books and he loves feeling like he is part of this story but this book goes one further - it aims to have a positive effect on children's lives. You create your book online by typing the child's first name and surname, selecting their gender and choosing a child with skin tone similar to theirs then My Given Name do all the hard work. The story shows Bindee, a stork, travelling around to find your child's given name. 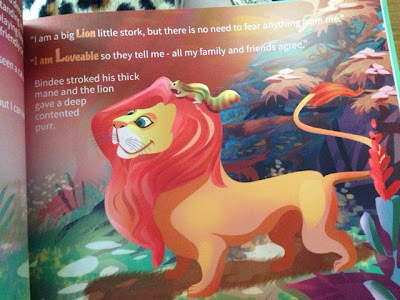 He meets lots of animals along the way that help him do so. The animals he meets give him a letter using a characteristic or positive phrases, for example, the cheetah says that he is caring so C gets added to the name. 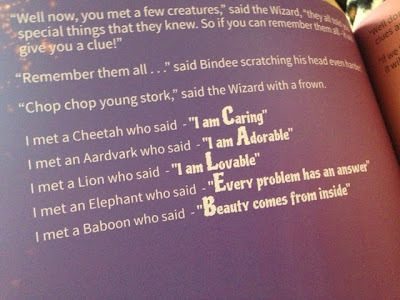 Next he meets an aardvark who tells Bindee that he is adorable and again, that gets added, and so on until your child's name is spelled out. Obviously, you will get different animals dependent on the letters in the name. You can use just the first name or first and middle names. The story is longer that most of C's books but the story kept his interest, I think this may have been down to the bright colours and beautiful illustrations too. I love the positive image that it conveys and I hope that the more we read it with C, the more he'll see that he is caring, adorable, loving and that every problem has an answer and beauty comes from the inside just like the book says. 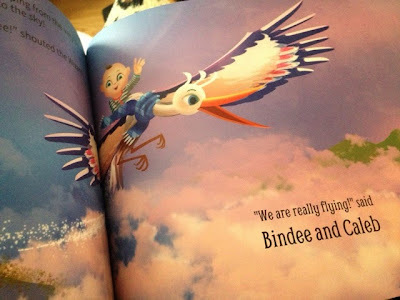 This book would make a gorgeous gift for any child. The book retails at £16.99 and it is recommended for ages 3-8 years but it can be a lovely keepsake for babies and toddlers too. It has been fantastically well written and I genuinely felt happy whilst reading it to C for the first time. 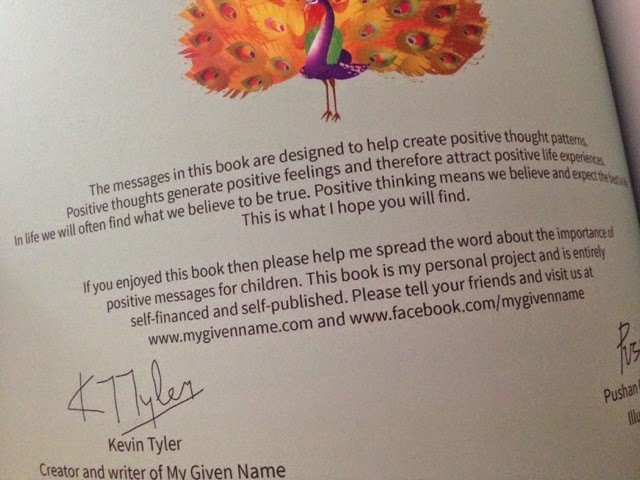 You can find out more at the My Given Name website, Facebook and Twitter. 1 comment on "My Given Name Book - Review"